The italics button was made for this moment in history. And there you have it. You have to think Bud Selig is probably printing out the transcript above and storing it in Ryan Braun's permanent file. "AND HEY SARGE SPEAKING OF CHEWING THE FAT, SARGE WHAT ABOUT THIS JIF IMAGE ON THE WEB DID YOU SEE IT UH HAHAHAHAHAHAHAHA"
The Phillies lost to the Cardinals. Reading this out loud is even funner. I never understood how, instead of naming his son Gary Matthews Jr., Sarge didn't accidentally name him Gary Matthews As Well. ...as you see the doctor here fill out his forms. That's cadillac time. As I was saying, I want to name my son, but WHAT I want to name him, well, that was a discussion I had with my wife like every husband has, and we came to the decision to name our son Gary. Seeing as my name is Gary also, he will be Gary as well. 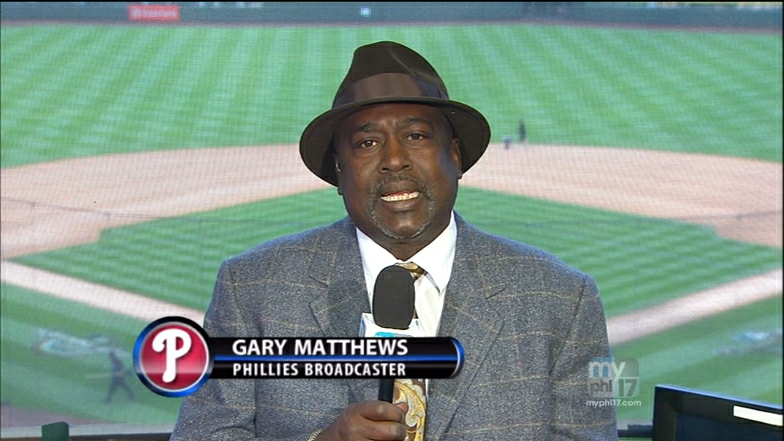 So we are naming our son Gary Matthews As Well." 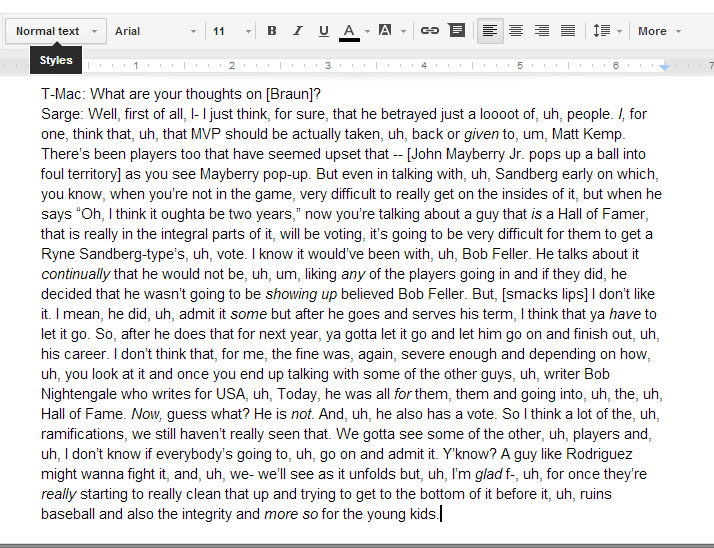 Sarge also dropped this gem last night: when he said "Ruben has to decide whether to pull the button."